It’s not a simple company profile; it’s a family legend of best quality in right time with professional services. About eighty years ago, Mr. Khamu Mal started the business from a small village of Sind, named Thano Bola Khan. He was selling best quality grains to his neighbors. His honesty and in-time professional services were appreciated by his customers. Soon his son, Mr. Veero Mal, joined him and slowly they started supplying grains to neighboring towns and villages. By 1960, business was spreading all over Sind. Their commitment to best quality in right time with professional services was highly appreciated by wholesale dealers all over the province and their clientele started getting bigger very quickly. In 1978, Mr. Veero Mal established a new office at Hyderabad in the name of Jhoole Lal Corporation that was later changed into R.K. Commission Shop, named after his third son, Ramesh Kumar. 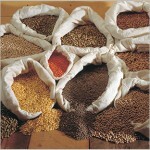 From here, they started supplying the best quality beans, rice, spices and herbs to all over the country. Here again, wholesale dealers from all over Pakistan appreciated their professionalism. In 1984, Mr. Mal was joined by his eldest son Mr. Gopal Khamuani. Like his adults, Mr. Khamuani too was committed to turn family’s tradition of supply of best quality into a legend. After the death of his father in 1992, Mr. Khamuani, brought his quite young brothers, Mr. Deve Das and Mr. Ramesh Kumar in business and trained them to continue family’s value oriented business. Together, their professionalism commitment to deliver the best brought them good fortune and soon they became one of the major supplier of various grains, spices and dry fruits in Pakistan. Also they started exporting to the neighboring countries by the end of nineties. In 1998, Mr. Khamuani along with his close friend Mr. Bharat Kumar Manglani, established another office at Karachi in the name of AKAL International. This office was to focus on export only. 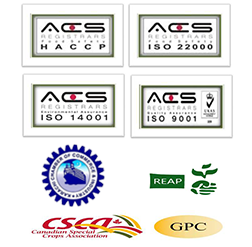 Their customers in India, Sri Lanka, UAE and Gulf highly appreciated their best quality products along with their professional services. In 1999, AKAL International became the pioneer exporter of world’s best quality Moong bean from Pakistan and to this date, they are the main exporters of Moong bean. 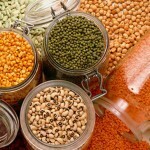 Since then, along with Moong bean, they are continuously exporting a large variety of pulses, herbs, spices, rice and dry fruits to many international markets. This successful growth of business demanded the involvement of family’s fourth generation. Another company was founded in the name of oldest grandchild of Mr. Veero Mal. Kanwal is the name of Mr. Khamuani’s daughter and it means Lotus flower. Family believes it actually reflects the nature of their clean and pure business. Kanwal Trading Company was founded in year 2000. Since then it’s exporting in bulk to several international markets without compromising on quality. Its professional and efficient deliveries have ousted many of its competitors from the international markets of UAE and Sri Lanka. For instance, mostly of export from Pakistan to Sri Lanka is conducted by this company. The legendary tale is long, but it’s the true reflection of the old-styled, value-oriented business. It’s an old business whose young and energetic directors are as committed to the delivery of best quality in right time with professional services as their grand father was about a century ago.